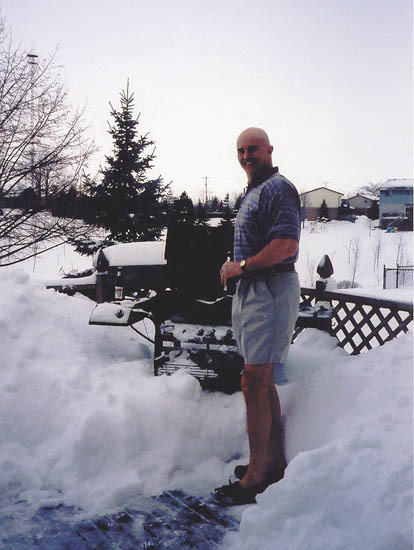 2002 - TM3(SS) Jim Vernon 64-67 says going to a May reunion in Chasn has got to be better than staying home in Canada (Vernon) (sr02v326). 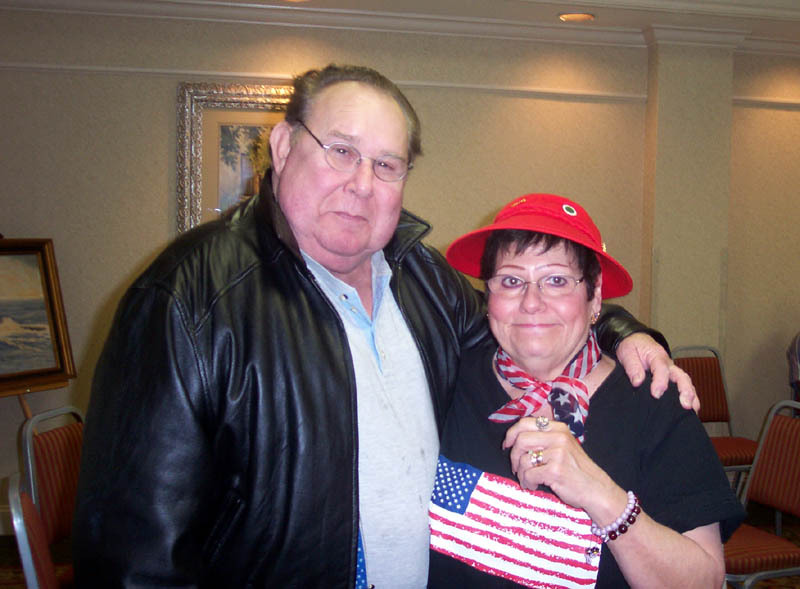 Reunion 2002 - Buffalo, NY - ENC(SS) Ernie and Stella Barwick 62-66 (Vernon) (sr02v335). 2002 - TM3(SS) Jim Vernon 64-65 now lives in Canada (Vernon) (sr02v344). 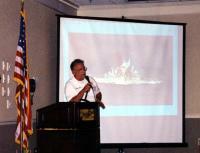 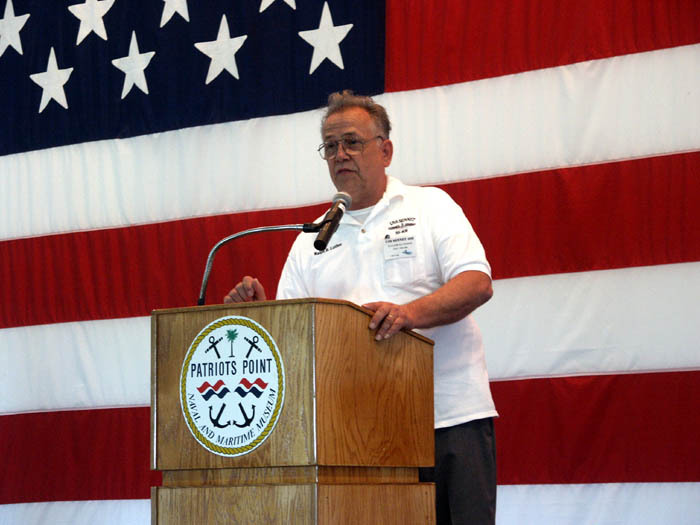 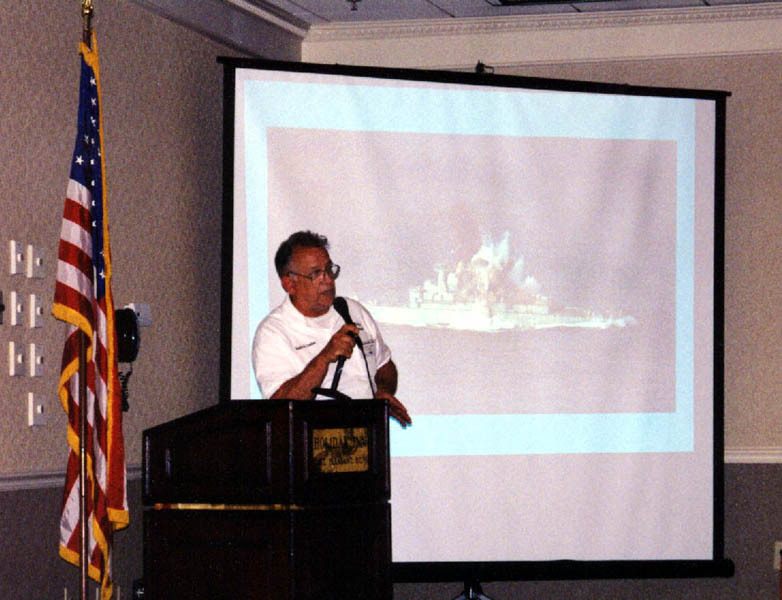 Chasn Reunion 2003 - MM1(SS) Ralph Luther (64-68) opens SENNET's memorial service onboard the carrier Yorktown (Albury) (sr03a353). 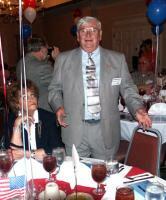 Chasn Reunion Banquet 2003 - ENC(SS) Ernie Barwick (62-66) and Stella (Albury) (sr03a362). 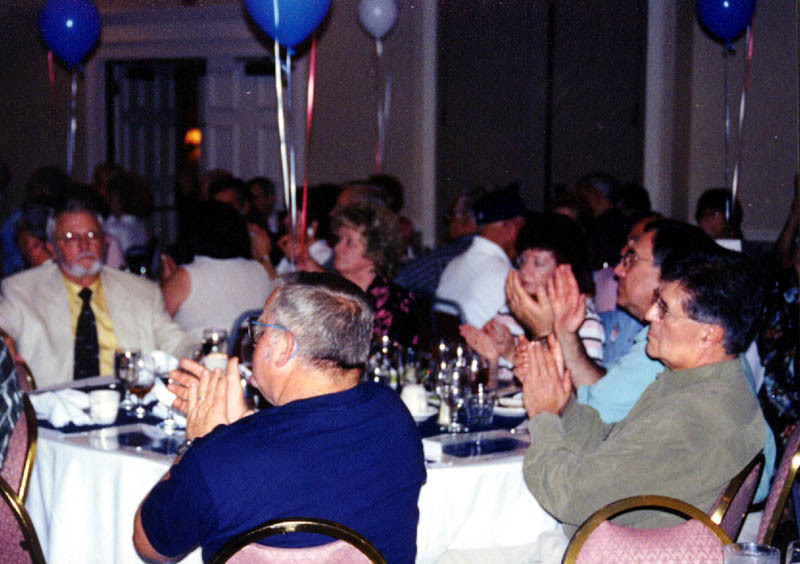 Chasn Reunion 2003 - The banquet (Barwick) (sr03b371). 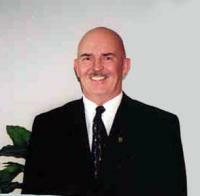 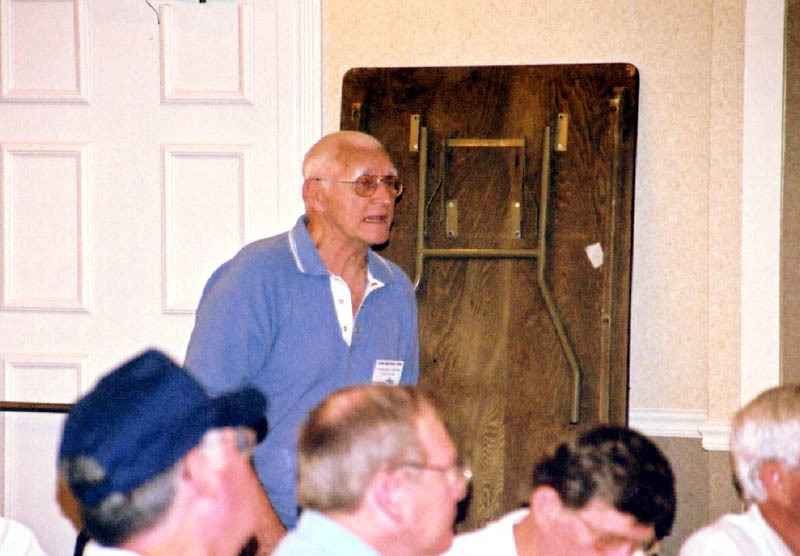 Chasn Reunion 2003 - Ralph Luther (64-68) (Barwick) (sr03b380). 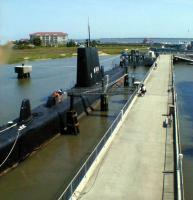 Reunion 2003 - Chasn - Visiting the Clamagore brought back lots of memories (Ed Jones) (sr03j577). 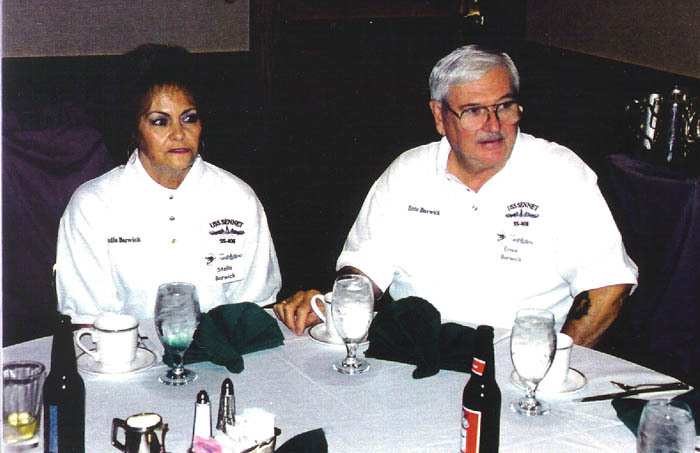 Chasn Reunion 2003 - Albert and Barbara Caddy (62-63) (Shoesmith) (sr03s389). 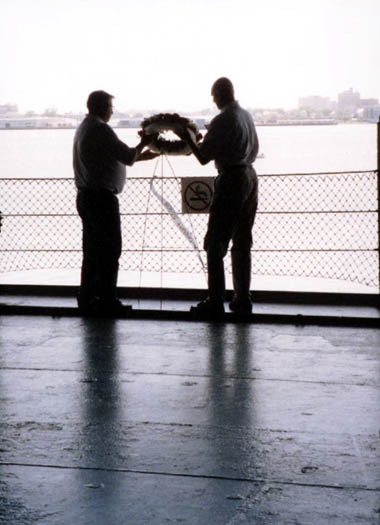 Reunion 2003 - SENNET's Memorial Wreath is cast upon the waters of Charleston Harbor (Sutton) (sr03s575). 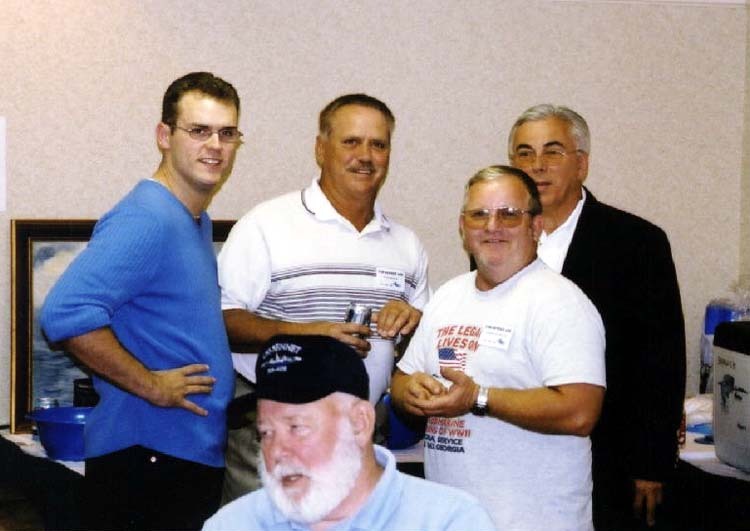 Reunion 2003 - (L to R) Jack & Don Hagg, John Duncan, and Lou Zorzi (Vernon) (sr03v404). 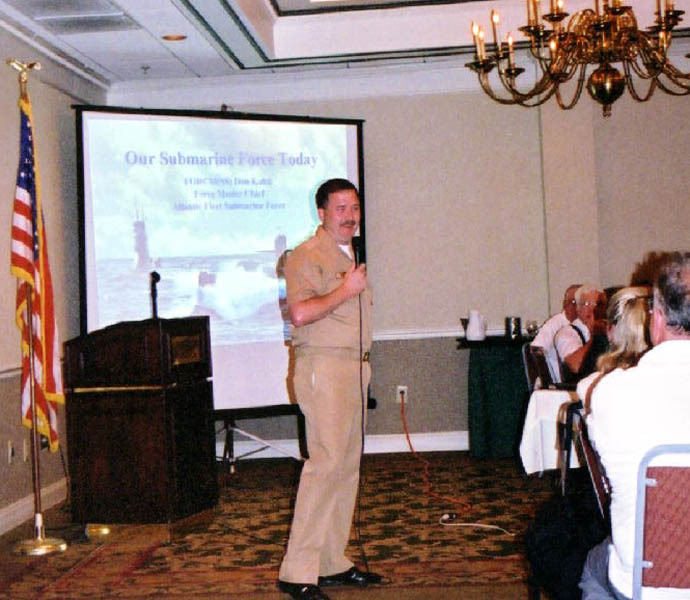 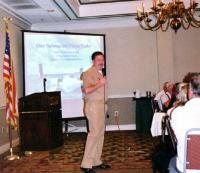 Chasn Reunion 2003 - MCPO Don Kulti, SubLant Force Master Chief, briefs the crew on the submarine force in 2003 and beyond (Vernon) (sr03v413). Chasn Reunion 2003 - Charles Cotter (CO 64-66) makes a point at the business meeting (Vernon) (sr03v422). 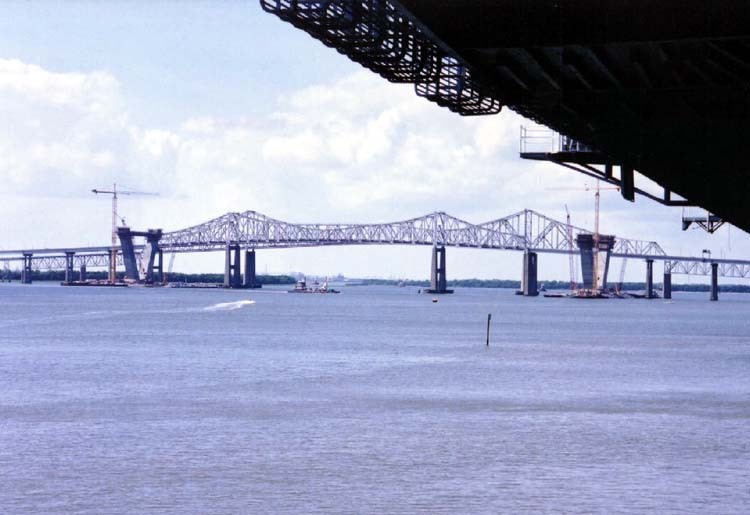 Chasn Reunion - 2003 - The Cooper River bridges - SENNET sailors homeported in Chasn passed under these spans many, many times (Vernon) (sr03v431). 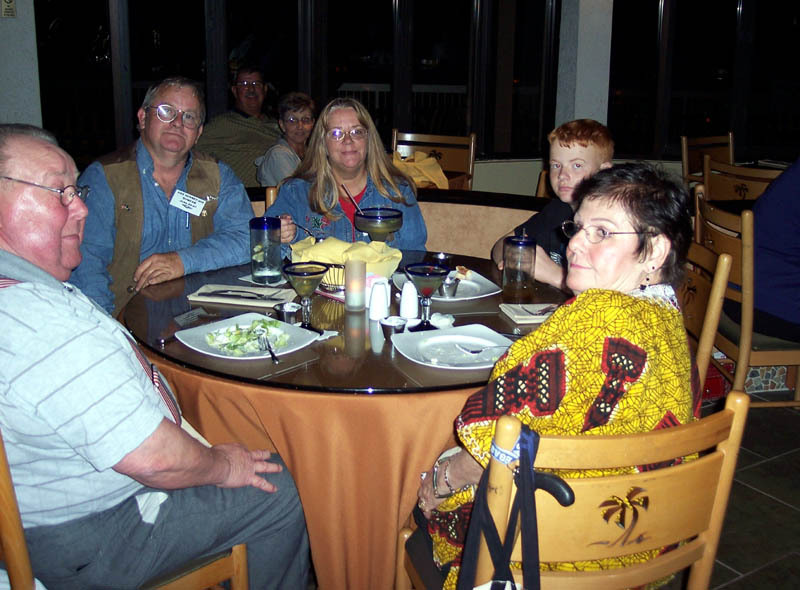 Panama City Beach Reunion - 2005 - (L-R) DeWayne Caddy, John Duncan, Diane Duncan, David Duncan, and Barbara Caddy at the Wednesday evening get together (Luther) (sr05l644). 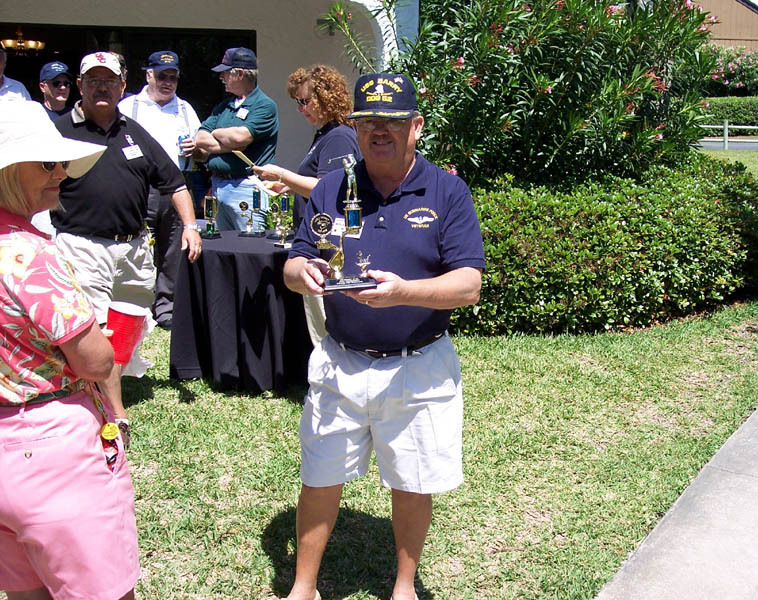 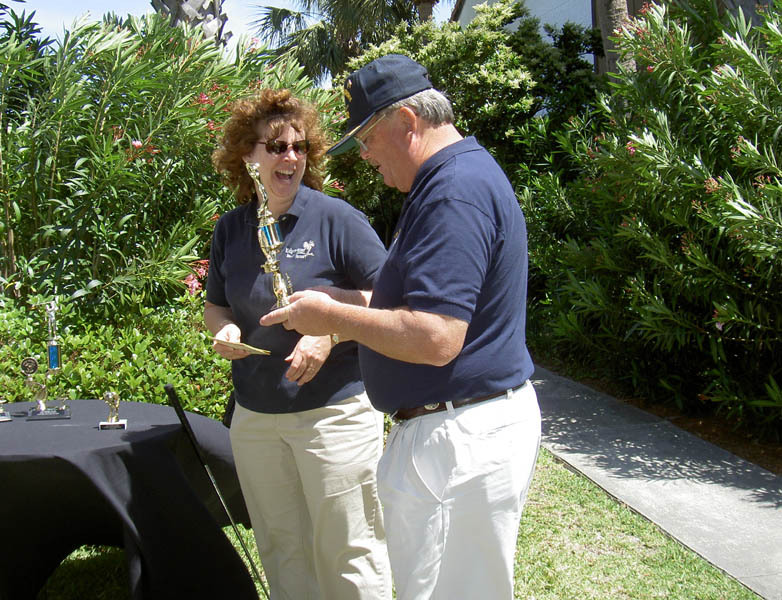 Panama City Beach Reunion - 2005 - Al Westenholme with 3rd place trophy, Betty Westenholme, Tom Cosby, Ted Darby white shirt & suspenders, Shane Sutfin, and Linne Morgan from Edgewater Golf Shack (Luther) (sr05l653). Panama City Beach Reunion - 2005 - Linne Morgan from the Edgewater Golf Shack with Al Westenholme (Luther) (sr05l662). 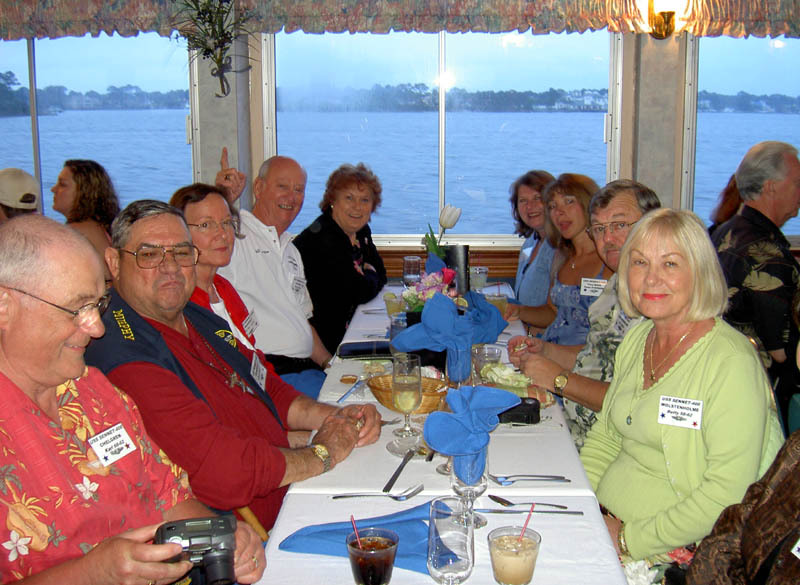 Reunion 05 - Panama City Beach - (L-R) Karl Chelgren, Al Murphy, Shirley Murphy, Bill Dugger, Jean Dugger, Linda Sue Leavins, Tracy Mock, Al Westenholme, and Betty Westenholme on the dinner cruise (Luther) (sr05l671).